Han De Cai was born in 1933 into a peasant family in Anhui province, an impoverished area of China. He was a farm laborer and was also a beggar. In February 1949, after Communists liberated his village, he joined the People’s Liberation Army. He was 16 years old and had one year of education. In June 1950, like many PLA soldiers, he answered Chairman Mao’s call for a strong air force and volunteered to become a pilot. Han was sent to the air force preparatory school and then entered flight training. With less than 100 total flying hours, and about 30 in the MiG-15, he was sent into combat in the Korean War. He became an ace and one of the best-known airmen in China. 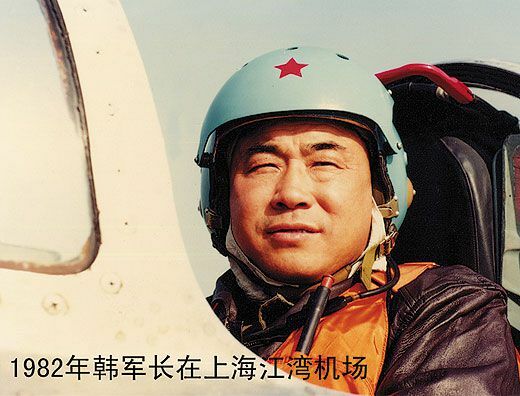 After the war, he became the deputy commander of one of the MiG-17 squadrons tasked with stopping penetrations of China’s airspace by aircraft that came primarily from Taiwan. Following the Communist takeover of China in 1949, the U.S. Central Intelligence Agency worked closely with nationalist government on Taiwan to carry out covert air operations. The earliest missions were flown by American pilots of Civil Air Transport, an airline that served nationalist China and that in time would become Air America. Political considerations soon dictated that the U.S. train nationalist Chinese pilots to fly these covert missions in B-17s, B-25s, and other World War II-era aircraft. By 1954, the CIA was readying a purpose-built airplane, the P2V-7U, a version of the U.S. Navy’s P2V Neptune Maritime Patrol aircraft that was heavily modified by Lockheed’s Skunk Works. These “black” P2Vs were flown from Taiwan by the Republic of China Air Force 34th “Black Bat” Squadron. 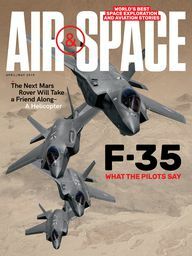 The were effective at the black work they were chosen to do: Drop and supply agents, drop propaganda, and collect electronic intelligence while eluding the PLAAF MiG-17s. Bob Bergin interviewed Han in Shanghai in February 2011, with interpreter Zhao Gang, an instructor at Yunnan University. Bergin first met Han in 1996, during a visit to China with the American Volunteer Group Flying Tigers. In October 2000, he interviewed Han about his service during the Korean War. Bob Bergin: During the Korean War you served as a MiG-15 pilot and became an ace. Some years ago we discussed that. But we did not discuss your PLAAF career after that. Han De Cai: Immediately After the Korean War I was promoted to be the deputy commander of a squadron. In 1954, I was sent to Dalian, to serve under the command of the Soviet air force. This was before the Sino-Soviet relationship deteriorated. I was sent there to learn night flight, and to learn to fly in challenging weather. At that point, Chinese pilots had very little experience flying at night or in bad weather. When I first started to fly, I should have learned much more about both flying itself, and about aerial warfare. But our participation in the Korean War was imminent, and like most Chinese pilots at that time, I didn’t have time to learn. Many of the things I needed, I actually learned in the war, not in training. Before I became involved in the war, for example, I had never flown in the clouds. 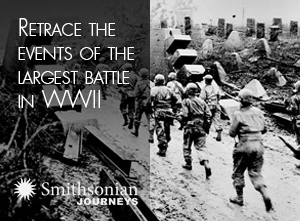 Even with the war already underway, we would form an echelon of 12 aircraft to fly through the clouds. We flew from 5,000 meters to 10,000 [16,400 feet to 32,800], and in the clouds we could not see each other until we finally broke out of them. We had no other way to learn. Our simulators came quite late. We had no aircraft simulator at all until the development MiG-19. And then the simulator was just a cockpit, with nothing to make it seem real. Russian pilots were your instructors for night flight?